If you’re an author or a publisher and would like your books featured on future roundups, please email us at tips@critical-theory.com. Did we miss any? Let us know in the comments. All these statements refer to what some of us would consider an event . . . An “Event” can refer to a devastating natural disaster or to the latest celebrity scandal, the triumph of the people or a brutal political change, an intense experience of a work of art or an intimate decision . . . An event is the effect that seems to exceed its causes—and the space of an event is the distance of an effect from its causes. But, asks Slavoj Zizek, does everything that exists have to be grounded in sufficient reasons? Or are there things that somehow happen out of nowhere? How can philosophy help us to determine what an event is and how it is possible? The early Marx called for the “realization of philosophy” through revolution. Revolution thus became a critical concept for Marxism, a view elaborated in the later praxis perspectives of Lukács and the Frankfurt School. 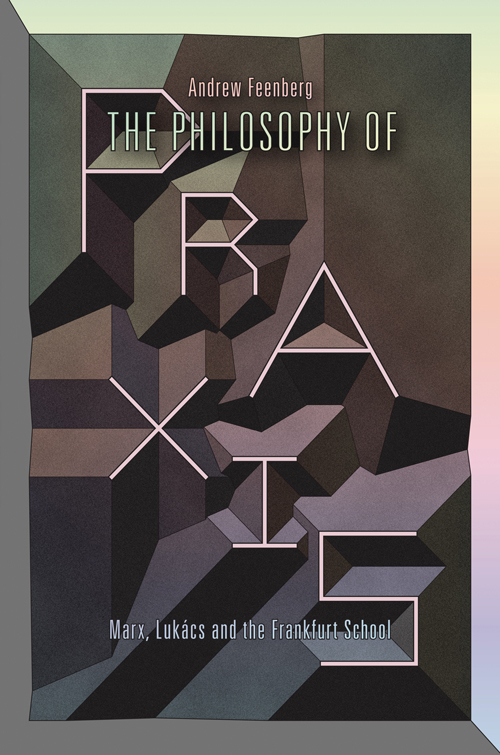 These thinkers argue that fundamental philosophical problems are, in reality, social problems abstractly conceived. The book offers a new introduction to Jacques Derrida and to Deconstruction as an important strand of Continental Philosophy. From his early writings on phenomenology and linguistics to his later meditations on war, terrorism, and justice, Jacques Derrida (1930–2004) achieved prominence on an international scale by addressing as many different audiences as he did topics. Yet despite widespread acclamation, his work has never been considered easy. Rendering accessible debates that marked more than four decades of engagement and inquiry, Susanne Lüdemann traces connections between the philosopher’s own texts and those of his many interlocutors, past and present. 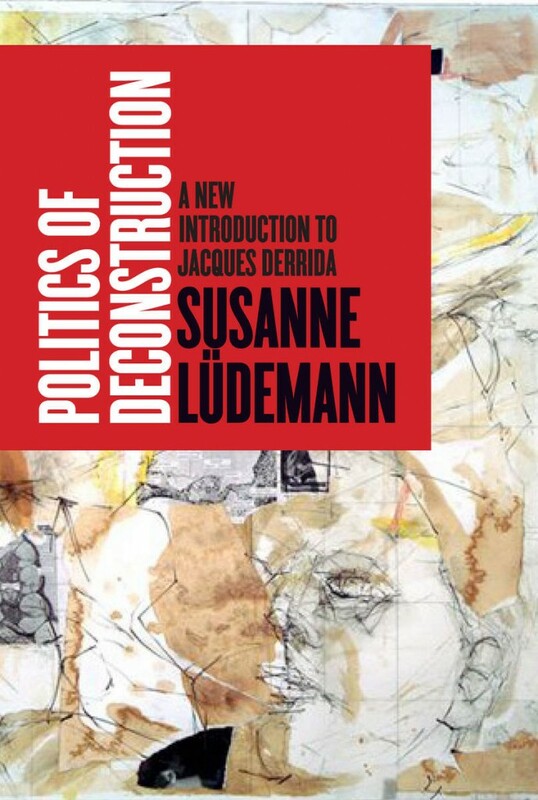 Unlike conventional introductions, Politics of Deconstruction offers a number of personal approaches to reading Derrida and invites readers to find their own. Emphasizing the relationship between philosophy and politics, it shows that, with Deconstruction, there is much more at stake than an “academic” discussion, for Derrida’s work deals with all the burning political and intellectual challenges of our time. The author’s own professional experience in both the United States and in Europe, which particularly inform her chapter on Derrida’s reception in the United States, opens a unique perspective on a unique thinker, one that rewards specialists and newcomers alike. What do we know about Hegel? What do we know about Marx? What do we know about democracy and totalitarianism? Communism and psychoanalysis? What do we know that isn’t a platitude that we’ve heard a thousand times – or a self-satisfied certainty? Through his brilliant reading of Hegel, Slavoj Zizek – one of the most provocative and widely-read thinkers of our time – upends our traditional understanding, dynamites every cliché and undermines every conviction in order to clear the ground for new ways of answering these questions. When Lacan described Hegel as the ‘most sublime hysteric’, he was referring to the way that the hysteric asks questions because he experiences his own desire as if it were the Other’s desire. In the dialectical process, the question asked of the Other is resolved through a reflexive turn in which the question begins to function as its own answer. 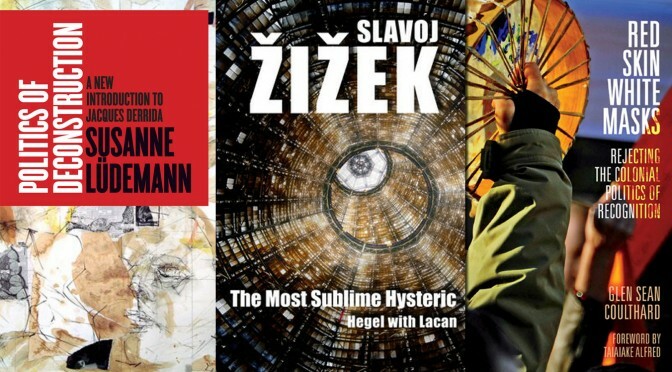 We had made Hegel into the theorist of abstraction and reaction, but by reading Hegel with Lacan, Zizek unveils a Hegel of the concrete and of revolution – his own, and the one to come. 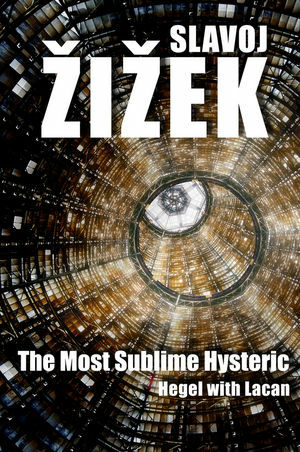 This early and dazzlingly original work by Zizek offers a unique insight into the ideas which have since become hallmarks of his mature thought. It will be of great interest to anyone interested in critical theory, philosophy and contemporary social thought. 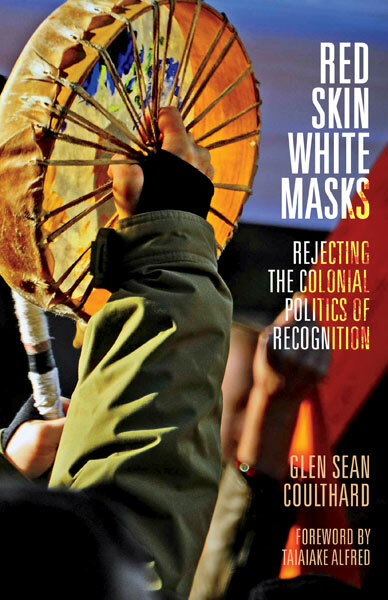 Glen Sean Coulthard challenges recognition as a method of organizing difference and identity in liberal politics, questioning the assumption that contemporary difference and past histories of destructive colonialism between the state and Indigenous peoples can be reconciled through a process of acknowledgment. He examines an alternative politics, seeking to revalue, reconstruct, and redeploy Indigenous cultural practices based on self-recognition. In the wake of the Iraq war, the term Old Europe was appropriated by politicians, civil society and social movement actors alike to rally in defence of supposedly social and civilized values against the perceived predatory forces of American finance. Against Old Europe sheds light on the social movement politics encapsulated in the protest slogan ‘Fight Old Europe’. Within what is broadly labelled the global justice movement, it explores a particular, radical perspective that warns against the identification with European values by movements resisting neoliberalism. 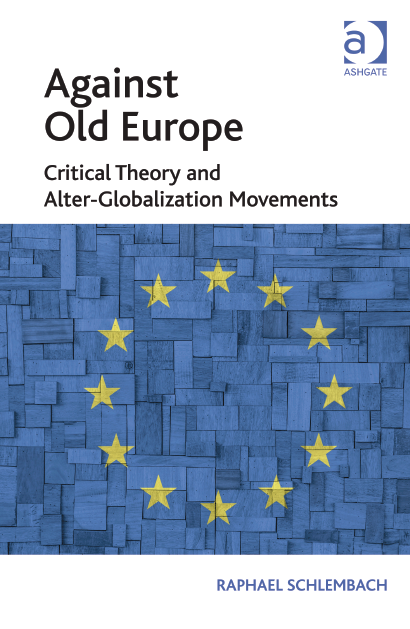 Exploring the work of key theorists critical of globalization, including Habermas, Negri, Holloway, Postone and de Benoist, the book examines critical theory approaches to alter-globalization, illustrated with concrete examples of movements within contemporary Europe. In so doing, it invites readers to explore the charges of nationalism, anti-Americanism and antisemitism brought against parts of the alter-globalization movement. What is the human body? Both the most familiar and unfamiliar of things, the body is the centre of experience but also the site of a prehistory anterior to any experience. Alien and uncanny, this other side of the body has all too often been overlooked by phenomenology. 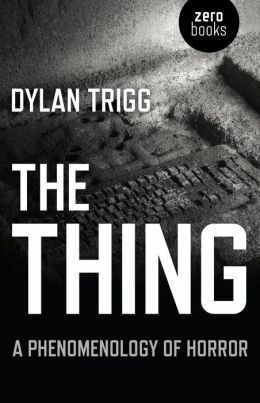 In confronting this oversight, Dylan Trigg’s The Thing redefines phenomenology as a species of realism, which he terms unhuman phenomenology. Far from being the vehicle of a human voice, this unhuman phenomenology gives expression to the alien materiality at the limit of experience. By fusing the philosophies of Merleau-Ponty, Husserl, and Levinas with the horrors of John Carpenter, David Cronenberg, and H.P. Lovecraft, Trigg explores the ways in which an unhuman phenomenology positions the body out of time. At once a challenge to traditional notions of phenomenology, The Thing is also a timely rejoinder to contemporary philosophies of realism. The result is nothing less than a rebirth of phenomenology as redefined through the lens of horror. 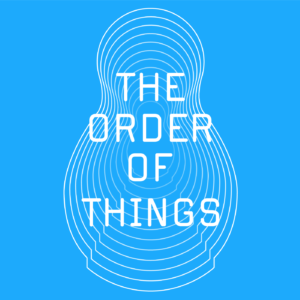 In On Doubt, Vilém Flusser refines Martin Heidegger’s famous declaration that “language is the dwelling of Being.” For Flusser, “the word is the dwelling of being,” because in fact, in the beginning, there was the word. 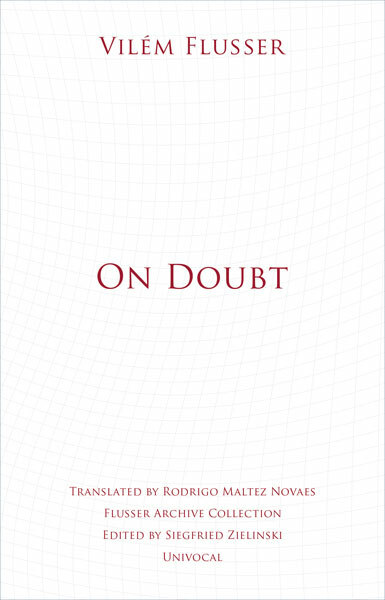 On Doubt is a treatise on the human intellect, its relation to language, and the reality-forming discourses that subsequently emerge. For Flusser, the faith that the modern age places in Cartesian doubt plays a role similar to the one that faith in God played in previous eras—a faith that needs to be challenged. Descartes doubts the world through his proposition cogito ergo sum, but leaves doubt itself untouched as indubitable and imperious. His cogito ergo sum may have proved to the Western intellect that thoughts exist, but it did not prove the existence of that which thinks: one can eliminate thinking and yet continue being.